Double Hung Windows by Vista: Vista combines traditional styling & superior performance with endless custom possibilities to give you the perfect window for your home. 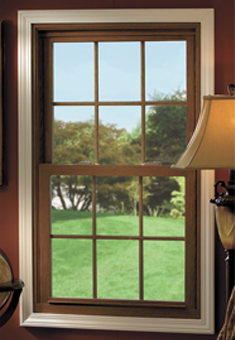 The windows are classic in design, from the sleek sight-line interlock and the routed tilt latches, to the clean-looking, crisp balance covers. These “simple” elements prove that Vista is concerned about even the seemingly small details and that a window can be beautiful and energy-efficient.